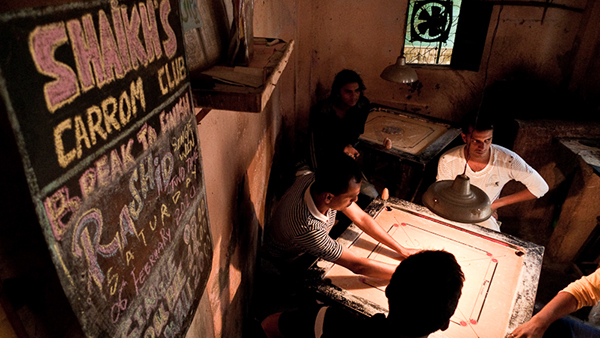 Photstory about the carrom clubs of Mumbai (Bombay), India. 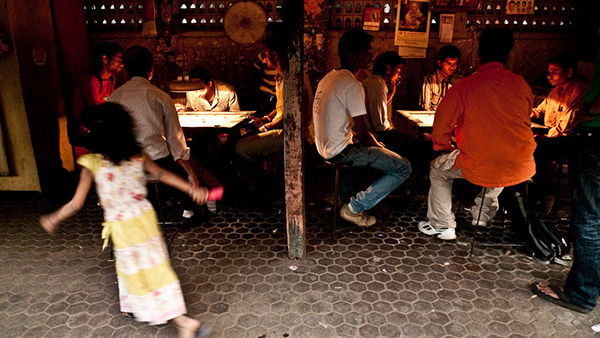 Carrom is Mumbai's most popular indoor game. It's played at home and mostly in the carrom clubs in the poorer inner city streets and the slums that dot and surround the city. 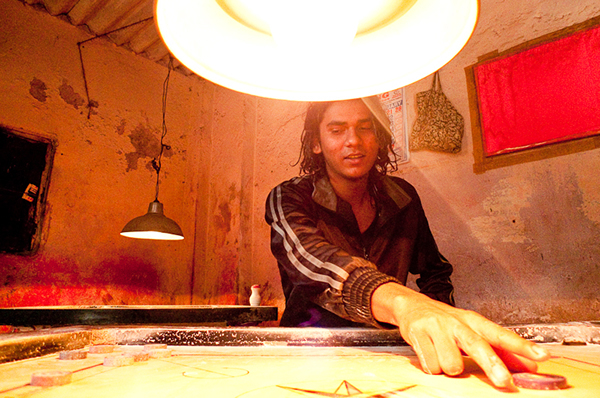 A carrom club is usually run by a tough local who charges a few rupees for round of carrom. The players place their own bets on each game. It is very popular among the unemployed and college students. When 'underworld' crime was at its peak in the 80s and 90s in the city, it was considered the recruitment ground for petty criminals. These days, the police do keep a keen eye on the activities of the Carrom Clubs, especially in the tougher neighbourhoods like Dongri and Malwani. But it's the game that matters for most of them and their skills are worth watching. 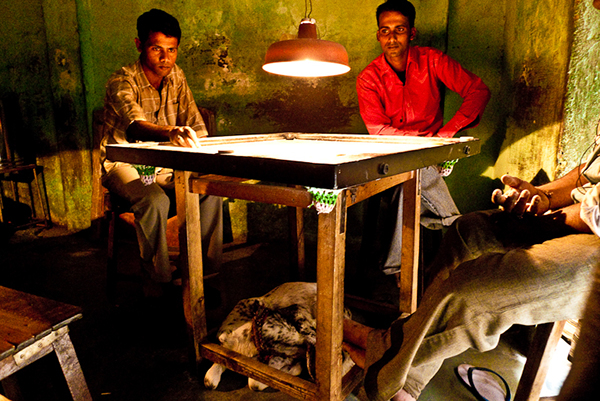 A carrom game in progress at a club. 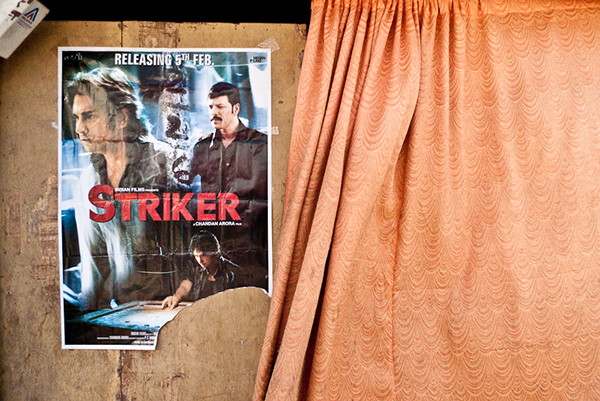 In Bollywood films, the carrom clubs continue to be hubs of the underworld and petty criminals. Here's a action scene being shot for a movie. 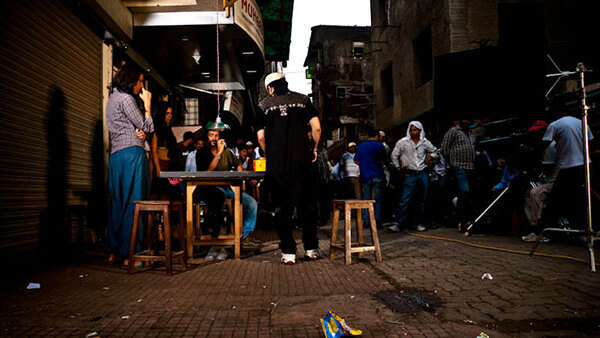 In the mill district of Parel, it's a popular hang out for college kids. Politcial parties actively woo them with posters and campaigns outside the pavement clubs. It's the hard-working youngsters who spend most of the time here in the clubs. 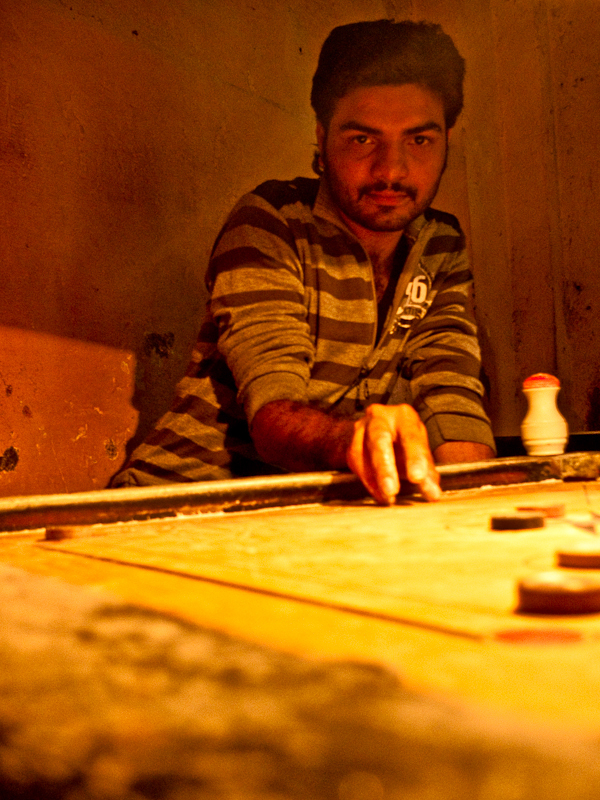 The competition can get intense and carrom players from Mumbai are probably the among the best on the world. Reay Road. 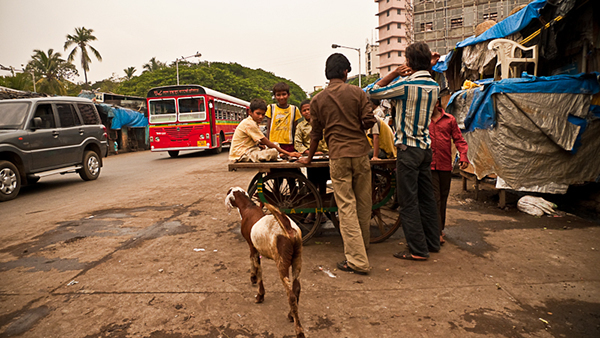 South Eastern Mumbai. These kids on the street don't need a club. An out-of-action push cart is their flat surface to have a quick game of carrom.